Estate Mediation: why retain an estate lawyer? Estate mediation is an important part of the estate litigation process in Ontario. Most lawsuits in Ontario settle well in advance of trial. Many people believe that appearing in Court and having a verdict from a Judge is the desired outcome when a lawsuit is commenced. However, the fact is that the estate litigation process can be very lengthy and expensive. It can take many years of emotional and financial costs to litigate a matter all the way to trial. Most estate disputes can be resolved well in advance of trial as long as the parties involved are willing to be reasonable. Even if you believe that you should take your case all the way to trial, there are many situations where estate mediation provides a more cost-efficient solution to your dispute. The purpose of estate mediation is to allow the parties involved in the dispute the opportunity to settle the matter before significant legal costs are incurred. An independent third party mediator will likely be present to facilitate dialogue and to assist the parties in reaching a practical resolution to the dispute in question. In many parts of Ontario such as Toronto, Ottawa, Windsor, and the County of Essex estate mediation is mandatory for many types of estate disputes such as executor disputes, passing of accounts, will challenges, and dependant support claims. Hiring an experienced estate litigation lawyer is vital to your success. 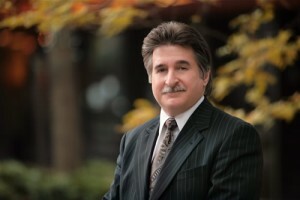 Charles Ticker is a litigation lawyer with over 35 years of experience. In addition to being an estate lawyer, Charles is a qualified and certified mediator. He is experienced in the areas of estate litigation and estate administration. Although he cannot act as a mediator in cases where he is retained as counsel, his vast experience as a mediator allows him to have an intimate understanding of the estate mediation process. This understanding of the mediation process is an advantage to anyone who retains his services. He can guide you to through the estate mediation process and he will ensure that your rights are protected. For more on Ontario’s mandatory mediation process click here. Furthermore, even if you have already completed the mediation process and failed to come to a resolution, it is important to consider settling the matter before trial. Although trial may seem like a favorable alternative at the time when mediation takes place, the legal costs associated with proceeding to trial can be significant. As the eventual trial nears, parties often attempt to resolve the matter out of Court in order to avoid the costs and hassles associated with a trial. Many times “last minute” settlements may be negotiated as a trial nears. It is very important to retain an estate litigation lawyer to ensure your legal rights are protected in any kind of settlement negotiation with the other side before or after estate mediation. Toronto estate lawyer Charles Ticker can assist you in your estate litigation dispute. The information on this website is not legal advice. It is for informative purposes only. Contacting us through the website, email, or telephone does not mean you have retained a lawyer. To book a consultation, call Mr. Ticker at: 1-866-677-7746.